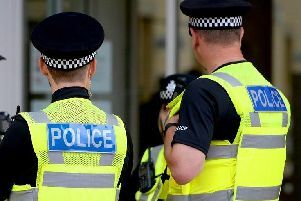 Fears have been raised over the future of neighbourhood policing in West Yorkshire after a study found the number of community support officers had fallen dramatically. More than 1,000 PCSO jobs have been cut every year in England since 2010, according to a report by Unison. The trade union found a 27 per cent reduction in the number of PCSOs, with more than 4,400 jobs lost in the last four years. The union said the cuts had left the public with “little or no reassurance” over safety and had made a “huge impact” on policing of streets because PCSOs made up a big percentage of neighbourhood policing teams. West Yorkshire Police and Crime Commissioner Mark Burns-Williamson claimed he had protected frontline policing and the level of PCSOs as far as possible since his election in 2012. But he warned that the future of neighbourhood policing was uncertain. Nick Smart, chairman of West Yorkshire Police Federation, which represents uniformed officers, echoed his concerns. He said: “We have seen big cuts in neighbourhood policing and those officers who remain are often there in name only. Unison has called on Her Majesty’s Inspectorate of Constabulary to investigate the impact of cuts to policing.